The Dream BIG Dream Book gives detailed instructions on how to magnetize your dreams into reality. It will totally take all of the mystery out of THE LAW OF ATTRACTION. 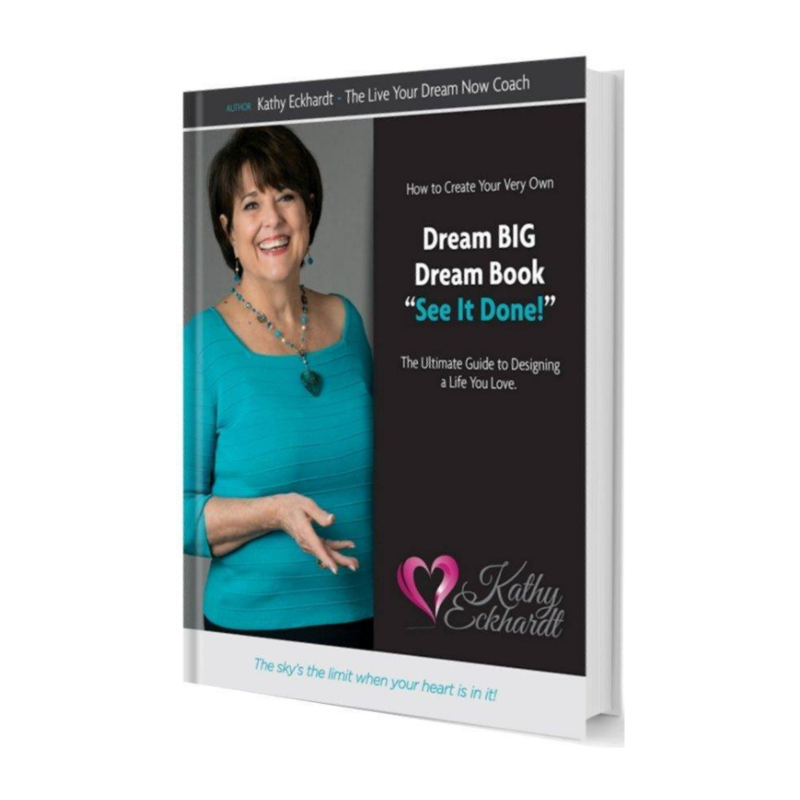 Kathy shows you how to go from just dreaming your dreams to living your dreams in the here and now by picturing or visualizing them as if they are already accomplished. It is my ardent hope that this little book will guide you to envision and create exactly the kind of life you want so that you can live a life of joy as you fulfill your soul assignment. Dreaming is designing your future. Your DREAM BOOK will help you to crystallize your vision of who you want to become, what you want to do and what you want your life to look like. It becomes a composite picture of your DREAM LIFE that will motivate and inspire you to keep moving forward if you are challenged by obstacles, setbacks or self-doubt. It will uncover your deepest longings, passions and dreams jumpstarting your journey to a new life. It will motivate you to move past resistance and overcome self-sabotage.